Social Media has taken the world by storm as the fastest way to spread news. Having a website is becoming a basic necessity for new businesses. There are many applications out there to help small businesses set up a website on their own. There are technology consultants, like us, who are more than happy to help with the set up and maintenance of a website. You can find out about local Austin news on Twitter way faster than you would on regular news channels. The world is constantly watching for new and exciting things to appear. Businesses can take advantage of this fast superhighway. You can create social media campaigns that captivate your audience and bring attention to your products. You can launch new “hashtags” or create twitter emojis that people can share with their friends. This generation is all about sharing information. All you have to do is ensure that you give them the right information to share. News comes and goes. It has 10 minutes of fame and then everyone forgets about it. The most important way to ensure that your company leaves a lasting impression is to constantly be posting new and exciting content. It is almost impossible to keep up with the trends that are coming and going as fast as the speed of light. Even if it is as small as one post a day, you have to keep putting your name out there. If people keep seeing your company pop up on their feeds, your name will stay on their minds. Post a funny meme that goes with your company mission. Take advantage of the things that are already captivating their minds and make them your own. Memes are a fun way to connect with the younger crowd. Make sure you pick something that ties back to your company. Include a call to action in your social media posts so they see it and then do something. Include your website URL so they visit it afterwards, or include links to other social media so they can see more content. Have a blog? Include it everywhere to attract more readers! Write about things that your company is passionate about, and then let that passion show through your posts. In the end, you want to make sure that whatever you post represents your company’s mission and values. Whether it’s making sure every child has amazing dental health, or finding the right home for clients, it has to connect back to the company core. Connecting with your audience means listening to their needs and then filling those needs. 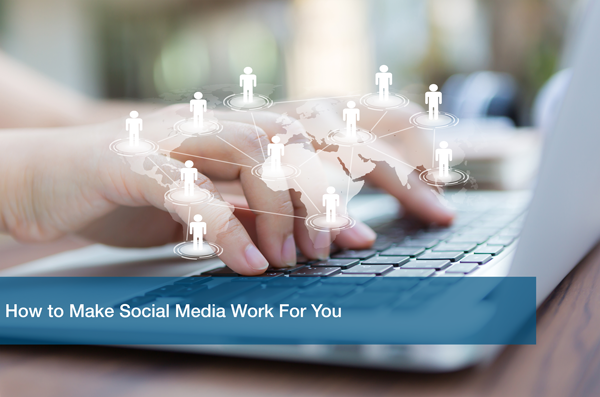 For more information about connecting with your audience through social media, check out 3 Key Elements to Help Connect with your Audience on Social Media. Social Media can be a great tool for companies if used in a consistent and wise manner. Regular posts create more attention for your business. Using call to actions like “discover us today” or “check out our…” creates a sense of action for potential clients. Give them something to read and then something to do afterwards to connect with you. Here at ITC we offer many IT support services that can help take your business to the next level. We have helped many local Austin businesses with their website needs. We can help you create a new website or maintain your current one. Fill out our online form to Schedule a free IT analysis today.